Can the Taliban survive the death of leader Mullah Mohammed Omar? Can the Taliban Survive the Death of Their Leader? 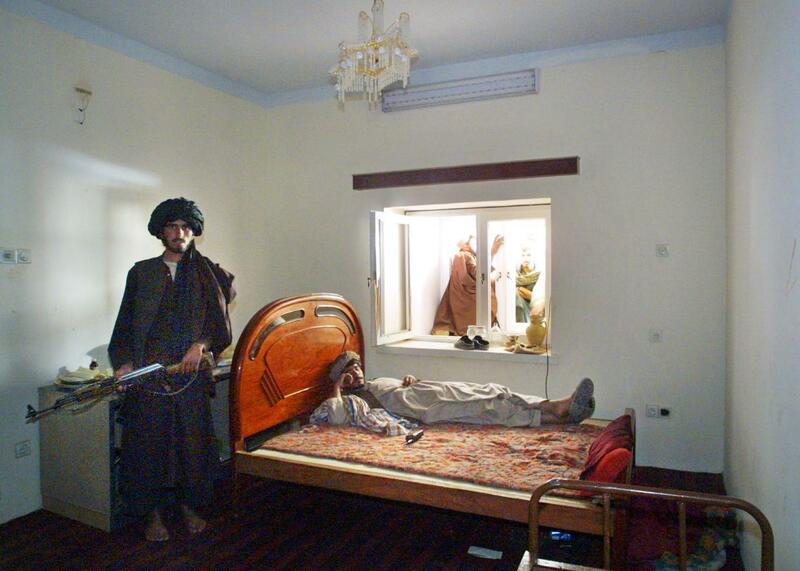 An armed guard rests in the former bedroom of Taliban spiritual leader Mullah Mohammed Omar on Dec. 13, 2001, in Kandahar, Afghanistan. What makes this all very strange is that, according to the Afghan government, Omar died in April 2013 in Pakistan. The Taliban’s political office has confirmed the date but says Omar actually died in southern Afghanistan. That presumably means that Mansoor has already been leading the group for about two years, perhaps even issuing statements endorsing the peace initiative under Omar’s name, all the while knowing Omar was dead. It makes sense that Taliban leaders would keep Omar “alive.” Though he was almost never seen publicly even before his alleged death, the former supreme leader of Afghanistan was an important unifying symbolic presence for a movement dividing into rival factions, including some now affiliated with ISIS. Those divisions are going to deepen without Omar’s presence, no matter how spectral it was: One faction has already accused Mansoor of murdering his mentor. The announcement of Omar’s death also raises some questions about the role of Pakistan in the conflict in Afghanistan. Pakistan has been hosting the talks but is widely suspected of supporting militants within Afghanistan, playing a double game with the neighboring country. It was reportedly Pakistani officials who informed Afghanistan about Omar’s death, which some see as a move to disrupt the talks. If Omar really did die in a hospital in Karachi, as Afghanistan suggests, it would contradict years of Pakistani denials that he was in the country. Though obviously it wouldn’t be the first time a world-famous international terrorist turned out to be hiding in plain sight in Pakistan.